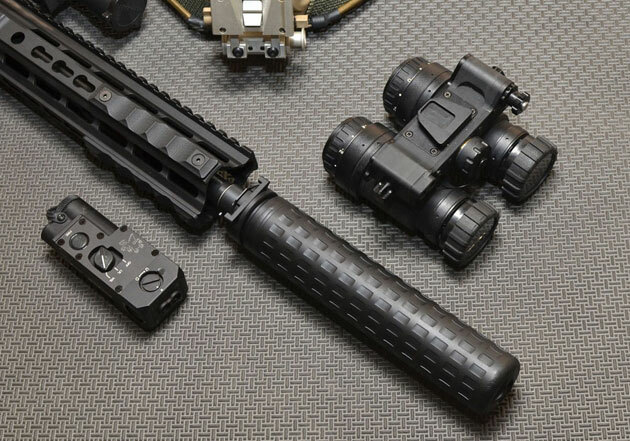 Griffin Armament is now shipping the new 30SD (mod2) Suppressor. Completely redesigned for increased strength and durability, the 30SD features a tube â€œchassisâ€ machined entirely from billet 17-4 with an integral blast chamber and front mount support.Â Additionally, the new 30SD features a Patent Pending fluting that increases surface area by 40%, which leads to increased cooling efficiency and durability. Â This fluting also increases strength-to-weight ratio allowing a stronger suppressor to be made to weight specifications of weaker silencers. The patent pending baffle system ensures industry leading sound performance.Â Many QD systems on the market feature metal on metal ratcheting components prone to wear by design.Â The Griffin SDQD interface eliminates the possibility of wear by use of its heavy duty spring plate/ locking gate system.Â Near infinite attachments are possible without wear to the SDQD interface.Â Upon request from elite tactical units, a low profile flash suppressor was also integrated to further reduce flash signature. 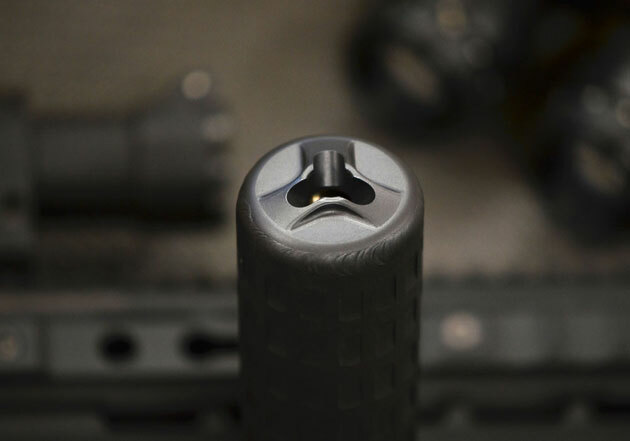 Â Included with the 30SD is a 2 port 30 caliber muzzle brake, and for a limited time, when purchased through SilencerShop.com, an additional 5.56mm M4SD Hammer Comp mount is provided. Griffin Armament has maintained pricing on the 30SD silencer despite numerous performance upgrades in the interest of customer satisfaction. 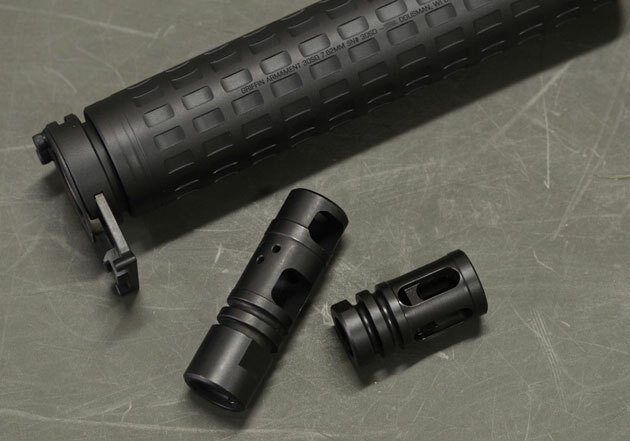 On the silencershop website – I noticed they listed the 556 minimum barrel length rating as 10.5″. Does something in the paperwork that came with the 30SD state 7.5″?